These Joint General Comments provide authoritative guidance on the interpretation of the provisions of the Convention on the Rights of the Child and, as such, apply to all State Parties of the Convention on the Rights of the Child and /or the International Convention on the Protection of the Rights of All Migrant Workers and Members of Their Families. [B]oth Committees have repeatedly affirmed that children should never be detained for reasons related to their or their parents’ migration status and States should expeditiously and completely cease or eradicate the immigration detention of children. Any kind of child immigration detention should be forbidden by law and such prohibition should be fully implemented in practice. Article 37 (b) of the Convention of the Rights of the Child establishes the general principle that a child may be deprived of liberty only as a last resort and for the shortest appropriate period of time. However, offences concerning irregular entry or stay cannot under any circumstances have consequences similar to those derived from the commission of a crime. Therefore, the possibility of detaining children as a measure of last resort, which may apply in other contexts such as juvenile criminal justice, is not applicable in immigration proceedings as it would conflict with the principle of the best interests of the child and the right to development. 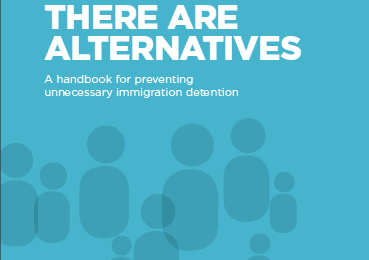 The Joint General Comment provided further guidance on several points regarding immigration detention including that children should not be criminalized or subject to punitive measures due to their migration status (paragraph 7) and that unaccompanied minors should not be detained either for the migration status or on the basis of being unaccompanied or separated (paragraph 8). In addition, the Committees highlighted the harm for children from any deprivation of liberty, even when detained for short periods or with their families (paragraph 9). 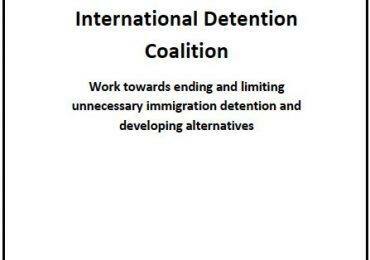 All 193 UN Member States committed to work towards ending child immigration detention as part of the New York Declaration in September 2016. This guidance is a timely contribution that will assist in animating States to move beyond a political commitment into action. The Convention on the Rights of the Child (CRC) can be found here. The International Convention on the Protection of the Rights of All Migrant Workers and Members of Their Families (CMW) can be found here.